Congratulations and welcome to this beautiful journey! You’re now a full member of the natural hair community! Even if you were transitioning or transitioned for a short while, as long as it’s a small Afro, it’s considered to be a TWA. This stage is not only exciting, but probably the easiest to manage as you can rock almost any style under very little time and effort! However, how you take care of it now will determine just how well it will grow. Ø Deep condition or treat your hair once in 2 weeks to infuse moisture and promote hair growth. You can also do a protein treatment to give it a bit of a boost at least once every 6 weeks. This may sound contradictory to the goals of many naturalistas, however, in the beginning, it’s important to instill good healthy habits in terms of how you take care of your body (exercise and eating habits) and emotionally as well. The healthier choices you make and the less stress you have the more your hair will grow! You might think starting your hair journey afresh will mean purchasing that super expensive product with that will forever leave it moisturized and promote growth, but in actual sense, very little is actually required to keep it healthy. A lot of the products we need can actually be sourced from our local supermarket or chemist such as coconut oil, olive oil or aloe vera juice. Invest in products that work for you and that you have read or heard reviews on. This way, you can easily create a regimen based on these products without spending a fortune. As much as your hair is growing its still susceptible to damage and this can result in stunted hair growth. 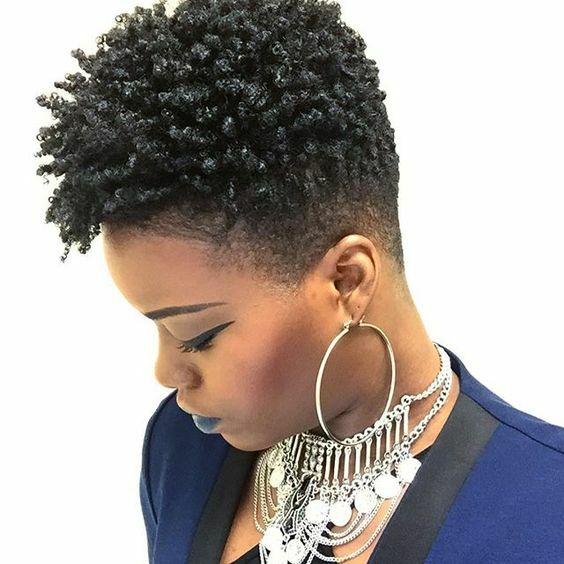 Always remember to get a regular trim every 6 to 8 weeks to keep your TWA healthy and growing way past the 2-inch mark. It might be quite tempting to go right to sleep without wearing your satin bonnet or scarf, but you need to avoid this all costs. Other materials aside from satin used on your pillow case or as a scarf can be drying to the hair, again making it prone to breakage. Extreme cold and hot weather conditions are also not good friends with our 4C hair and can leave it looking dull even after daily moisture application. Strive to protect it at night with a satin bonnet and during the day with a head wrap, wig or hat. Poor Diet, Stress, Hair Loss?